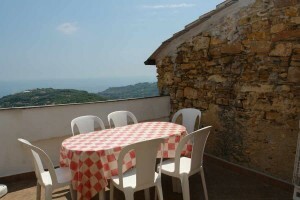 Relax in a holiday homes in Liguria. 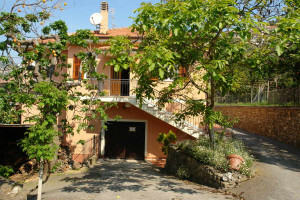 Enjoy your free time at the Ligurian coast, spend your holiday in one of our holiday homes in Liguria and let your holidays become a very special memory. 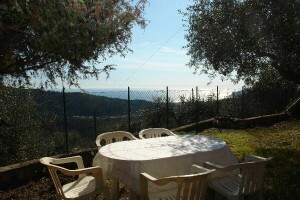 You will find a perfect holiday house with us in Liguria. Whether you are with the whole family, with friends or just the two of you, we offer you suitable accommodation for your vacation together with your loved ones. 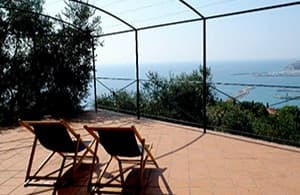 Vacation in Liguria by the sea means holiday houses with a lovely view of the coast or houses that are located in a quiet environment with their own pool - Our catalog offers a wide selection of various types of accommodations! First select the time for your vacation, then enter the desired number of persons, and after that you can refine your search for houses and you will get a list of available holiday houses. We look forward to getting a call from you so that we can finalize the details with you. We are ready to serve you even on Sundays and public holidays. 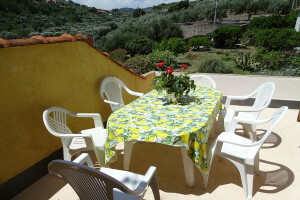 Please rent your dream house from the specialists and you will spend unforgettable days in the country of culinary delights and the best olive oil! This is how vacation in a holiday house should be! To be woken up by the sun, to revel in the wonderful view of the sea and panorama, and to enjoy morning refreshment in one’s own pool or even by the sea. Would you afterwards want to take a stroll through the market or perhaps relax in a cozy café filled with the pleasant aroma of coffee and croissants? 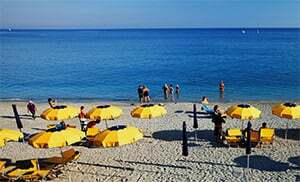 In any case, it is advisable to start the day on an active note, to make a tour of the Italian coast by car, bicycle or train, to take in the midday sun by the water and then return to the comfortable holiday house in the evening. If you prefer, you can of course also choose to unwind and have a good sleep. 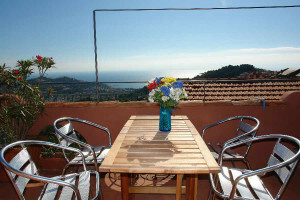 You can choose to enjoy the many hours of sunshine accorded by the Ligurian Riviera on your sun terrace or in the garden if you so wish. In no other place will you feel pampered by an abundance of quietness than in your detached holiday house with private parking space for the car. The undisturbed personal privacy is wonderfully suited for relaxation, and thanks to the generosity of some holiday houses, you will find sufficient bedrooms and bathrooms for several persons. A holiday house is the right choice for groups or families with a dog too: there is a lot of space for children and of course the dogs too to run around, or for spending the pleasantly warm evenings partying together in the open, while grilling and having good conversations. A night walk under starry skies through olive terraces makes one sleep well later. 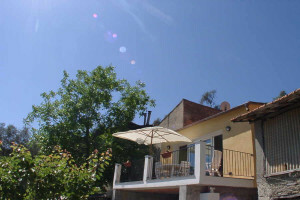 A holiday house is also suitable for small groups or couples in one of the four provinces of the region. 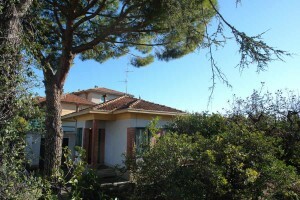 A romantically small farmhouse (Rustico) with only one or a few rooms is impressive with flair of its own. Some people enjoy their own garden with a pool, others the feeling of being right in the middle of life in Liguria, and those who love dogs are happy if their domicile has a fenced-in open area. A vacation in an idyllic hinterland with a precious view of the coast, and away from the hustle and bustle and hectic rush, gets even better with the bicycle, since there is no stress from the car and the search for parking space. 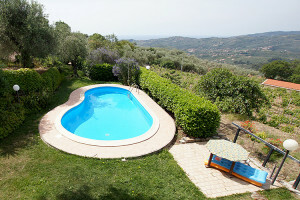 But even right in the middle of Ligurian life you will find little oases of holiday houses with us. 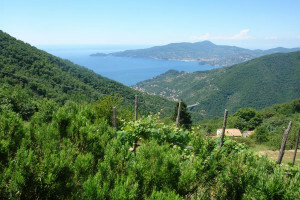 Be ready to be bitten by the bug of frankness and joy of the locals and experience the cozy feeling of a real Ligurian house which lies side by side with other stone houses in the old alleys of a north-Italian village. One can also reach the coast from the hinterland within just a few minutes by car and can spend relaxed days on the various beaches there. Whether it is sandy beaches in the bays, which are fantastically suitable for children to play and bathe in on account of their flat access to the sea, gravel and stone beaches for all those who prefer a quiet environment and the sound of waves crashing on the shore, or beaches for our four-legged friends! The BlumenRiviera has something right to offer each one! For we have already gathered important information in our travel guide about the respective area surrounding your holiday location and we shall offer further insider tips after you have made your booking. And we gladly respond to such personal preferences. 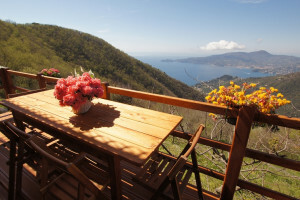 No matter whether one is searching for a vacation house or a vacation apartment in Imperia, Genoa, Portofino, La Spezia or in any other wonderful province or village in Liguria as a region, with any number of bedrooms and beds, by the sea or with a view of the coast - we, the BlumenRiviera team, are always ready to help our guests and we shall, together with you, find suitable holiday accommodation in Liguria. In the final analysis, you will have booked the vacation house which best suits you and you can therefore look forward to your vacation without any worries! Find out more by phone, and follow us on Facebook, Google+ or Twitter. We are already waiting for you!